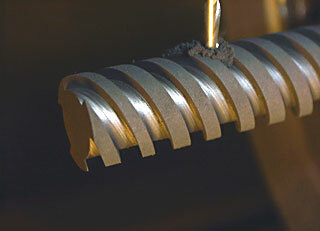 Kelbros Inc. machines custom electrodes using your specific material and dimensions. We are able to produce ultra-precise electrodes. Also available are custom thread forms, threads with shrinkage, cavity & core electrodes, and optic electrodes. Fourth axis machining of helical gears and spiral form electrodes are done with ease at Kelbros.